Rush – Everyone is driven by something. 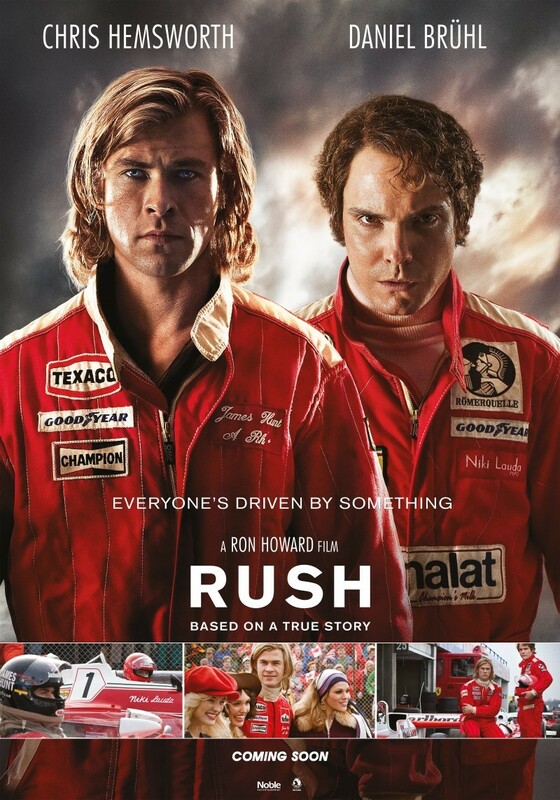 James Hunt (Hemsworth) and Niki Lauda (Bruhl) go head to head for the Formula 1 Season Championship. Incredible true story of two men with completely different styles who compete at the top of their field. I was impressed with Ron Howard’s direction of this movie; although there is plenty of racing action it was the character interaction that drew me into this story. Every time Lauda would approach Hunt we are expecting sparks to fly. We watch as inevitably the two rivals go from hatred to tolerance to respect and we wonder if they will ever become friends. The two men learn from each other and their rivalry was one of the most anticipated global sporting events ever. This movie is well worth a watch. The visuals are amazing as Ron Howard takes you into the seat of a race car in driving rains, blinding sun, and horrible crashes. You will get a sense of how difficult racing truly is. The performance by Daniel Bruhl was a standout and his character made a great rival for Hunt. If you liked this try: Days of Thunder, Talladega Nights, Rocky 3.